There are many different strawberry varieties. 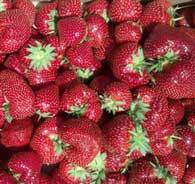 Looking for chandler, sequoia, alpine, honeoye, or one of the other strawberry types? What is the difference between everbearing, June bearing, and day neutral strawberry varieties? You’ll get answers here. If you have decided to plant strawberries and need help sorting through the myriad of strawberry varieties to pick the right one for you, you’ve come to the right spot! Ever since the Garden Strawberry began to dominate the commercial strawberry industry (see the history section on the Strawberry Plant page for more details), a concerted effort to breed a better strawberry has occurred. Organizations in North America, Europe, and Australia have led the charge. 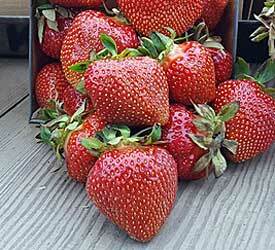 As a result, new and improved strawberry varieties are developed and released almost yearly. 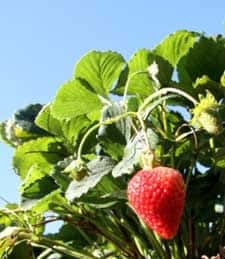 If you have landed on Strawberry Plants .org looking for guidance regarding planting or growing strawberries, you are in the right place. Many people come here looking for advice on which specific strawberry variety they should plant in their respective states. Well, as one might expect, there are a lot of different climates and growing conditions out there. Each of the United States has its own unique general soil composition, rainfall, and weather patterns. 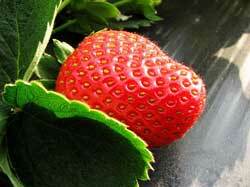 Consequently, any given strawberry plant variety is likely to do better in one specific region than other regions. While some cultivars are able to adapt to many environments, others have been bred to be highly productive in a relatively narrow climate range. If you are looking for guidance on which strawberry varieties will grow well where you live, you have come to the right place. 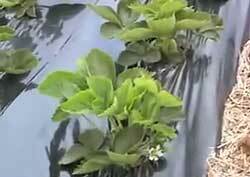 Strawberry Plants .org has numerous resources that will help you find whatever it is that you need, as long as it is related to strawberries or strawberry plants. 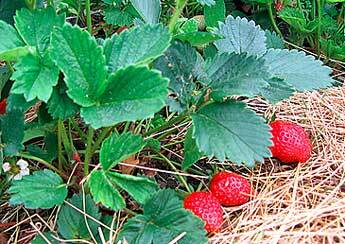 One of the most common problems a gardener encounters is finding an appropriate strawberry cultivar. There are numerous strawberry varieties in existence. Finding the right one for your conditions can be difficult. The best place to start is likely to find which varieties are recommended for your state (see the recommended strawberry varieties page). 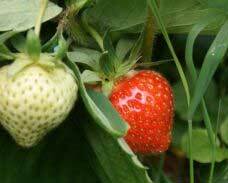 But, if you want to just go with the flow, the varieties listed below are the most popular varieties offered by nurseries selling strawberry plants directly to the public. It has taken fifteen years for the Archer strawberry variety to come to fruition. There is quite a bit of effort and a ton of patience involved in bringing a new strawberry variety to market. And, the new Archer strawberry variety is no exception. The New York State Agricultural Experiment Station in Geneva, New York (Cornell University), has finally released the variety that was selected in 2001. Courtney Weber, associate professor in the School of Integrative Plant Science, is the man responsible for this new and exceptional variety. If early indicators are correct, this berry could significantly boost both farming revenues and culinary enjoyment. With the recent surge in popularity of white strawberries, it isn’t surprising that more varieties of the pale delicacy will be coming to market. While the exotic pineberry (see here for all the details: Pineberry Pineberries) is still the class leader, a new white strawberry variety is trying to work its way into the limelight. The strawberry Snow White is now being sold in the UK. Just as Pineberries began their foray into the market within the bounds of Europe, so also do the suppliers of ‘Snow White’ hope to launch a new wave of these albino-like cousins of the traditional red strawberry. While not technically an albino strawberry, the lack of bioflavonoids do result in ripe fruits lacking the familiar red hue. For those strawberry enthusiasts who have an interest in the latest and greatest developments in the world of horticulture, I am pleased to spread the word about the latest strawberry cultivar released by the breeding program at the United States Department of Agriculture’s Agriculture Research Service at Beltsville, Maryland. ‘Flavorfest’ is the latest improved variety selected and subsequently released by the program at the end of 2012. It takes quite a bit of work and research and testing for a new variety to be developed, and Flavorfest shows considerable potential. Flavorfest is well-suited for growing in the mid-Atlantic and northeastern regions of the United States, as well as bordering regions. It should perform well for growers using annual plasticulture methods or the more traditional matted row system, and trials have produced excellent results at various locations ranging from North Carolina into Canada. During the cold months of bitter chill and cabin fever of winter in the Northern Hemisphere, Green Thumbs everywhere begin to wistfully ponder the coming day when breaking ice gives way to breaking soil. When it is too cold outside to do much gardening and the only growing things are the icicles on the neighborhood gutters, many anxious gardeners sit down and plan their gardens. Which fruits and vegetables will be grown? How much space to allot to the staples and how much to unique, new, or exotic varieties? What will the layout be? Should the garden be planted in rows or according to the principles of square foot gardening? Just thinking about it gets a Green Thumb’s sap flowing! This webpage was written and produced by the North Carolina Strawberry Association. While the material within pertains specifically to growing strawberries in North Carolina and the specific strawberry varieties that grow well in North Carolina, the information will apply equally to other regions with similar climates and growing conditions. The biggest strawberry producer in the world is the state of California. But, as dominantly productive as the strawberry growers in that state are, other regions of the United States are quite productive as well. Florida is also known as a big-time strawberry state. The standard method used in each of those two states is the typical commercial plasticulture method. What many people do not know is that North Carolina, and particularly the coastal regions, also has a booming strawberry industry. And, the methods used in that state are spreading to the surrounding regions. In the mid-1980s, NC strawberry growers and NC State University partnered to develop a better way to grow strawberries in the state. The work of this pairing led to slight adaptations of the California and Florida plasticulture practices which resulted in the Southeastern plasticulture method. 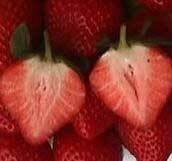 Southeastern Plasticulture strawberries can be lucrative venture. This post is a brief introduction. Strawberry plants are constantly being cross-bred and tweaked through dedicated breeding programs across the United States, in Canada, and other locals across the globe. 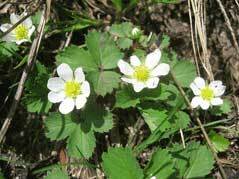 There are multiple reasons for this constant selective work on the various members of the genus Fragaria. Strawberries are developed in order to maximize genetic potential so that certain goals are attained. The most common goals are increased production of larger strawberries and increased plant hardiness and vigor for specific climate, region, or growing conditions. This publication was written by Dr. Eric Hanson of the Department of Horticulture, Michigan State University, East Lansing, Michigan, and was published by the Michigan State University Extension of Van Buren County. Most people who enjoy eating strawberries that they buy at the grocery store never have any inkling that a multitude of decisions determined the size, shape, texture, and flavor of the strawberries they buy and consume. But, in fact, strawberries are constantly undergoing selective breeding programs to try to breed a bigger, better, more consumer-friendly fruit. For strawberry lovers everywhere, this is a great thing. Each new strawberry cultivar that is developed as an improvement over an older variety brings more desirable traits to the strawberry market. Everyone understands the benefits of having bigger, sweeter, and more durable strawberries. One trait that is often overlooked by the home gardener (but is very important to the commercial growers within the strawberry farming industry), is the ability to initiate crops and harvests when less favorable seasonal conditions exist. 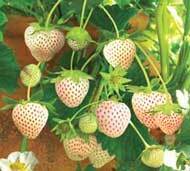 The word “pineberry” is a fusion of the words “pineapple” and “strawberry” and refers to a relatively new pale pink or pale orange to white strawberry cultivar that is adorned with red achenes (see the Strawberry Seeds page for more information). Like the modern Garden Strawberry (Fragaria x ananassa), the pineberry is a hybrid of the wild South American strawberry Fragaria chiloensis, which grows wild in some parts of Chile, and the North American strawberry Fragaria virginiana. The pineberry fruit is the result of cross-breeding, not genetic engineering as has been claimed by some. There are actually multiple different types of white strawberries (and new purple strawberries have been developed as well). 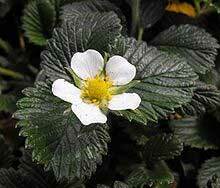 Fragaria iinumae is a species of strawberry plants that have garnered some curiosity recently. I’m not quite sure why the sudden interest, but it may be helpful for some to have a summary profile of this species of strawberry plants. So, for the curious among us, here goes! 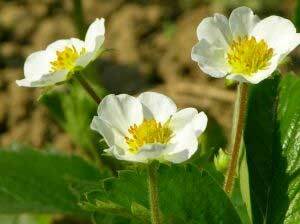 Unlike the modern Garden Strawberry (Fragaria x ananassa) which, if propagated by seed, do not produce second generation plants whose traits are true to the parents, Fragaria iinumae is a strawberry plant species whose offspring will remain true to the parent plants’ characteristics. The bigger problem is that those characteristics are not very desirable. 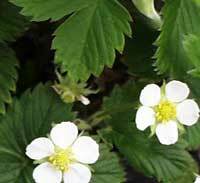 This page is a profile summary of the strawberry cultivar ‘Sweet Charlie’ (Fragaria x ananassa). 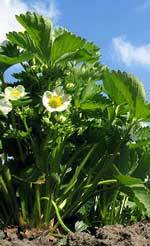 It will provide details on Sweet Charlie strawberry plants and Sweet Charlie strawberries so that an informed decision can be made regarding its suitability for varying growing locations and uses. Sweet Charlie strawberry suppliers are also listed. Sweet Charlie strawberry plants are the most popular commercial strawberry variety grown in Florida. They are uniquely suited for use as a short-day cultivar. They are also often grown commercially in North Carolina and California. Sweet Charlie isn’t limited to these famous strawberry states, however. They will generally do well in most of the southern states. USDA hardiness zones 5, 6, 7, and 8 generally provide adequate conditions for productive growth. See the map below for states where Sweet Charlie strawberry plants should thrive. 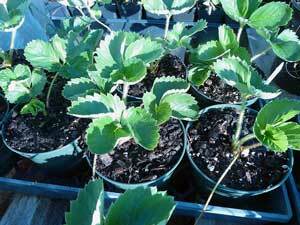 Also, for more details on growing Sweet Charlie plants, see the Growing Strawberries page.